I am glad to have the opportunity to review the Winter 2015 (#20) issue of Able Muse, as it is a local (to me) production out of San Jose, California. 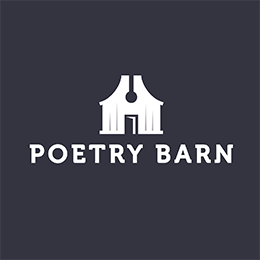 Although one could say that in this Internet Age, location doesn’t matter, I have a particular fondness for literature and poetry that comes from the West Coast, and especially Northern California, my native habitat. San Jose is, of course, very close to Stanford University, with its amazing Creative Writing program, and world-famous Stegner Fellowship, so a literary tradition runs deep there. It is obvious at first glance that tradition is important at Able Muse as well. Even a quick glance at the “Contributor’s Notes” points to an almost mind-boggling amount of literary talent on display. Many of the writers published in this issue have some connection to the literary world of the West Coast, although there are plenty of voices who are more widely known. Almost all of the poets published in this edition (the magazine is mostly dedicated to poetry) have appeared in top-ranked literary magazines, and also have produced multiple volumes, with many winning top prizes. Selections from the magazine have also been regularly anthologized. Each issue includes a featured poet and a featured visual artist. About half of the magazine’s pages are dedicated to these two contributors. The rest of the poets have at most three short poems, but usually just one. In general, the poetry is in a formalized style, with little free verse, and it is the type of work that I would characterize as high-concept. Many feature an exquisite use of language and a finely tuned understanding of rhyme and meter. The issue I read had three short stories, one of which was the winner of the magazine’s Write Prize for Fiction 2015 (Andrea Witzke Slot – "After Reading the News Story of a Woman Who Attempted to Carry Her Dead Baby onto an Airplane"). There were also two essays about aspects of poetry, and two book reviews. I was most excited to see the space dedicated to reviews and essays. A good essay is such a great way to expand the readers’ knowledge and appreciation of what is going on in the literary world. It gives an author a chance to spend some time philosophizing, either about his or her own work, or the work of someone that is important and has helped inspire that work. Of course, sometimes there might be some literary gossip or infighting, but I did not find that in Able Muse. Instead there was a thoughtful review of David Foster Wallace’s Both Flesh and Not: Essays written by Stephen Kampa, in which he starts off by admitting to having never read past the hundredth page of Infinite Jest. This made me laugh out loud on the bus, as I too must confess that I have avoided that particular doorstop of a novel. I also laughed and thoroughly enjoyed Moria Egan’s essay Vamp, Volta, Vows, which treats the subject of writing sonnets (“I like the challenge. I like restraints.”) and the connection between writing poetry and being a bad girl. The featured visual artist in this issue was Leon Leijdekkers, a Dutch photographer whose monochrome visions of the intersection between the human-made and natural worlds were stunningly moody and evocative. They must have been very difficult to reproduce, and, although I’m not usually drawn to visuals in lit mags, these created at least as much impact as many poems I have read. Which leads me to the featured poet, Amit Majmudar. I have spoken in other reviews about the difficulty of reviewing poetry, especially without the context of multiple poems or any background. While it is true, I think, that a person’s work should speak for itself, without the intermediary of personality or preface, knowing a little bit about why the work is what it is helps a reviewer articulate why they have the reaction they are trying to express. In this instance, a long interview by Daniel Brown helps both introduce the author and his biography, which is a great help in putting the five poems presented in a cultural and literary setting. Able Muse also has an extensive website which archives all of the past issue of the magazine, and offers the work of Able Muse Press for sale. This includes an anthology of the best of the earlier issues, edited by Alexander Pepple, who is also the editor of the magazine. Many of the poets represented in the issue I read have been published in book form by the press as well. There is also an extensive forum called Eratosphere, which features threads on technical issues of poetry-writing, as well as online workshops. Able Muse is obviously dedicated to the continuance of a vibrant critical and educational poetic tradition.